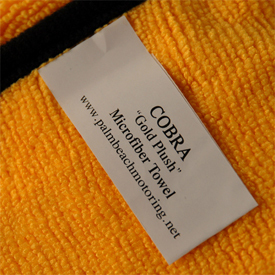 Dampen the Gold Plush Jr. Microfiber Towel with water to turn it into an all-purpose cleaning towel. Use it dry to quickly dust off your interior surfaces. Buff your vehicle when applying spray wax. The towel has a tremendous capacity for water. 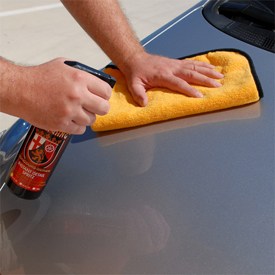 Use it to dry your vehicle and apply a coat of spray wax at the same time. This simple technique prevents water spots and deepens the paints gloss. The options are endless! ConsCan't use the. For any thing Maybe drying car? Company provides fast delivery. Product delivered is always as stated in ad.